'I'm not shy of getting muddy! And I like to set myself challenges'. 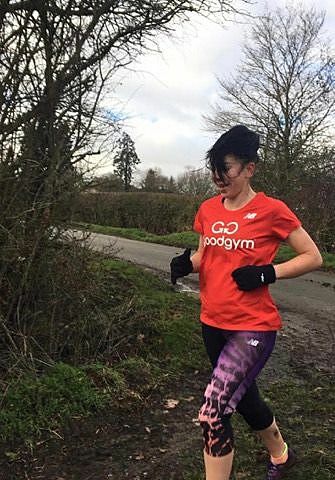 Anwen is a Savile Row trained tailor, trail lover, parkrun volunteer and now the Oxford GoodGym Trainer. 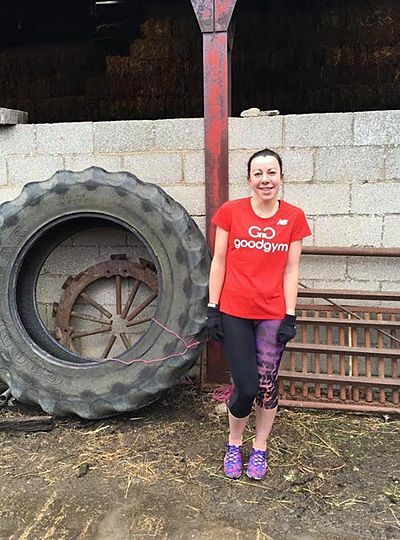 Dora Roughan spoke with Anwen to find out a little bit more about her and what you can expect on a GoodGym Oxford run. Anwen first got into running through school, but only came back to it as a regular runner 10 years ago. May 2019 officially marks her 10 year anniversary of her first race; the Oxford Town and Gown 10k. 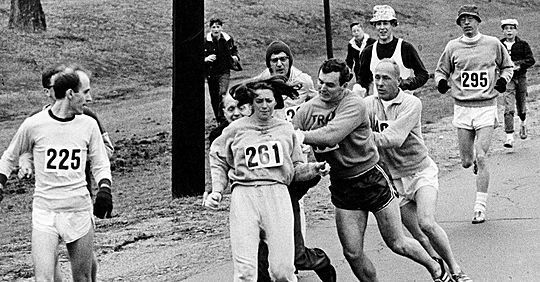 At first Anwen only ran on her own, but after a few months she joined a local running club as a way of meeting people. She found the running community so friendly and encouraging, and that's what kept Anwen involved in the sport. Last year Anwen completed the Florence Marathon, and this year Anwen is running the Larmer 10 in March, followed by the White Horse Half Marathon in April. Anwen usually sets herself one or two goal races to work towards so that she stays motivated. For Anwen training for different distances throughout the year keeps running varied and interesting. When we asked Anwen about the best run of her life, she fondly remembers the time when she was 12 running through the woods where she grew up with her Dad accompanying her on his mountain bike. This is one of Anwen's great memories as ‘it combines all my favourite things - running in the countryside and spending time with family'. 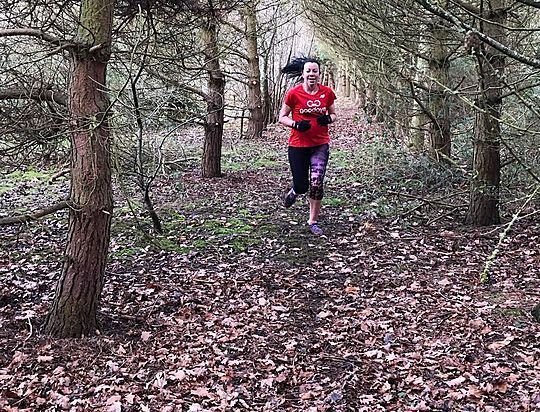 Anwen’s favourite runs are through the woodlands in the Cotswolds when the bluebells are in flower “it’s the most gorgeous time of year to run off-road”, or challenging herself in the hills of Dorset. 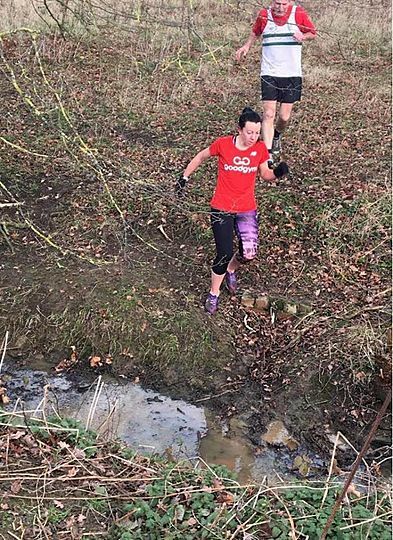 Anwen is a keen trail runner and is 'not shy of getting muddy' and likes to set herself challenges. If you are ever out and about in Oxford, expect to find Anwen running through Christchurch Meadows and the University Parks, and along the Oxford Canal. Oxford is most definitely a beautiful city which has wonderful places to run especially as there are lots of green spaces right in the heart of the city. Therefore, 'you never have to run far on the roads before branching off onto a tow-path or the Thames path, or through a beautiful park'. There is definitely something for everyone in Oxford from 'historical sites, to the waterways, or the meadows', 'plus it's almost completely flat so it's a runner's dream!' So if you are after a half marathon PB, Oxford might be the one for you! Anwen is on the committee for her running club, and helps organise a local annual running race. Anwen also occasionally volunteers at her local parkrun, so there is bound to be some parkrun takeovers in the near future. So what will Oxford GoodGym be like? Anwen lives in a relatively small community where everyone knows their neighbour, who all look out for each other. She adds ‘we tend to keep an eye on any vulnerable neighbours informally and GoodGym helps bring that to bigger communities, which is great! Alongside Group Runs, there are also Missions and Coach runs where you can visit elderly isolated people on a weekly basis for a chat or complete a task around their house to make them feel more empowered, for example moving furniture around or setting up a bed so someone can be discharged from hospital. To get involved check out the Oxford happenings page to see what events are near you.